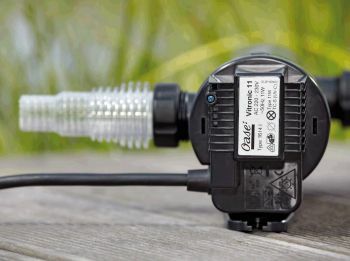 The OASE Vitronic 11 is an efficient pond ultraviolet clarifier, very effective for eliminating and preventing green water caused by single-celled algae, as well as reducing numbers of other harmful waterborne pathogens and parasites. This unit is designed for inline dry installation onto an existing pump and filter set up and features stepped connectors which will allow a selection of hose pipes of different diameters to be connected at the inlet and outlet. The Vitronic 11 comes complete with a high quality OASE 11 watt UV lamp which makes this product ideally suited to processing ponds of up to 10,000 litres (or 2,220 gallons) volume if no fish are stocked. 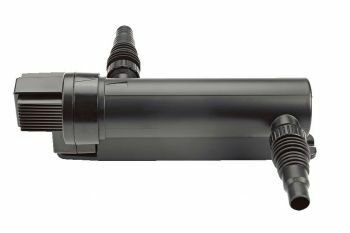 This UVC can also effectively process Goldfish ponds up to 5,000 litres (or 1,110 gallons) and Koi Carp pond up to 2,500 litres (550 gallons) water volume. 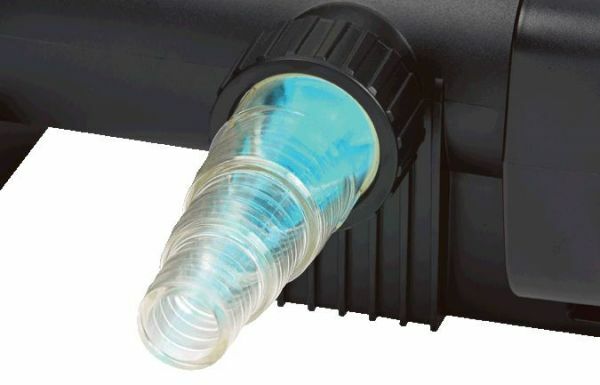 The OASE Vitronic 11 ultraviolet clarifier is constructed from impact-resistant plastic and comes supplied with high quality OASE Phillips 11 watt UV lamp. 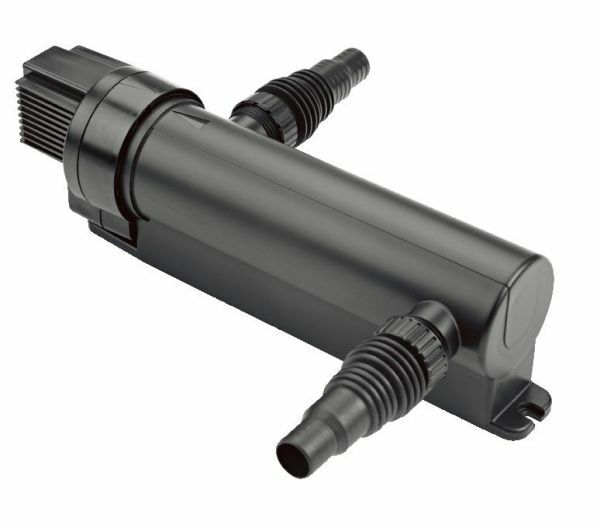 The supplied inlet and outlet hosetail connectors can be fitted with 3/4" (19mm), 1" (25mm), 1 1/4" (32mm) and 1 1/2" (38mm) internal diameter hoses. The Vitronic 11 is ideal for connection to a filter pump such as the OASE AquaMax Eco Classic and can accept flow rates up to 1,700 litres per hour.